I’ve turned off comments for now. Too much Spam. I don’t like Spam. I will turn them back on in the future, but for now I’ve had enough Spam. Damn Spam! According to this story, it appears that hammerheads and possibly other species can reproduce without a father. Here’s an unrelated story on a new anemone found on the bones of a dead whale. This is why I love marine bio. It seems like every month there is at least one new exciting discovery! Some people should really not reproduce. So much unnecessary suffering and hardship is caused by people having babies that will not be adequately cared for. And whose idea was it to create an anonymous unwanted baby drop off? I can’t see how anyone would ever think that was a good idea! They were practically inviting this kind of thing to happen. The poor kid is at the mercy of a bunch of idiots. It’s things like this that make me depressed to be a part of humanity. This is Yvel. She now has a new, stupid name, but her real name is and shall always be Yvel. 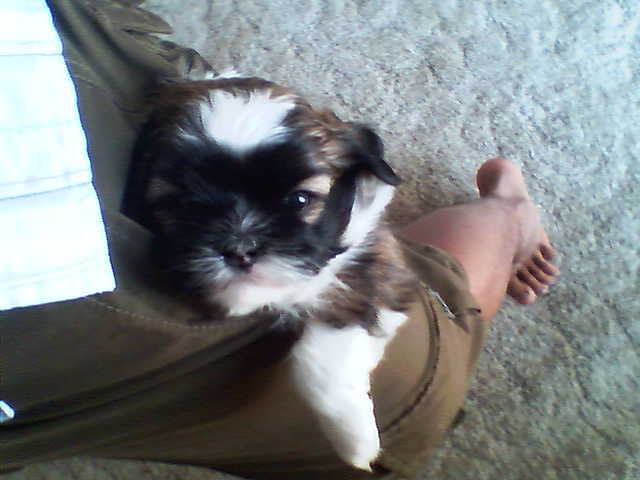 When she was young, I used to carry her around in my pocket and she would fall asleep. Yvel was the smartest of the puppies, and the craziest. She would stop at nothing to attack your toes, and relentlessly smashed through obstacles in order to lick her victim. She also had the strange habit of hopping around like a little bunny. Aside from her name, it sounds like Yvel is doing well. I have heard that she dines on filet mignon, drinks expensive mineral water, and rolls around in a Bentley. I bet she liked my pocket better. The Deep has some awesome photos of deep sea creatures, many of them taken by MBARI, and featured in Mysteries of the Deep (not to be confused with the National Geographic series of the same name), one of the shows at Monterey Bay Aquarium. Check out the impressive gallery on the book’s site (the link is on the bottom right corner). It’s coming out in June. Check out the preview here. 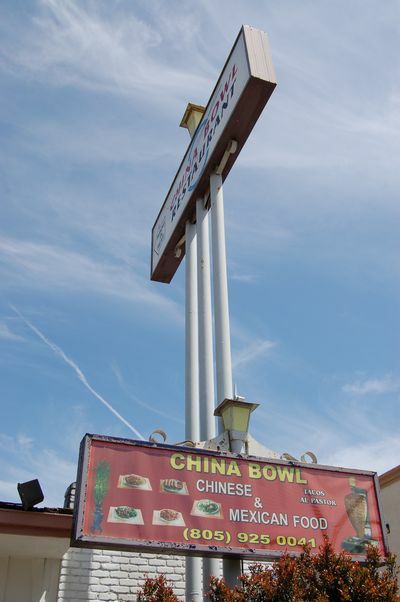 China Bowl: The Best Al Pastor? On the way up from Huntington Beach, Kohei and I picked up some fresh, wild-caught shrimp in a small town right before we reached Santa Barbara. If you are familiar with that stretch of coast line, it’s the place that used to have the banana plantation back in the day. Unfortunately, I didn’t take any pictures, but the place selling the shrimp was like something you might encounter in Mexico or a rural coastal village in Thailand. I saw no signs advertising their shrimp, only a broken down taco truck converted into a produce stand, which also sold long skateboards. Kohei inquired if they were the place that sold shrimp, and the young dude cleared some lettuce off of a battered box, and removed the lid to expose some really fresh shrimp. It still had bright pigmentation, and the only smell was of fresh sea water. I drove off with my mind blown that such a place could exist, hidden from everyone other than the locals right next to the 101. This is what I had grown addicted to in Japan: finding places that no one else knew of that were extraordinary. Since returning, I’ve found such places, but not nearly as frequently as I did in Kyushu and Kansai. What was the chances of finding 2 places that surprised me in one day, covering a stretch of California that I have driven through countless times? Well, it was pretty good that day. “What do you recommend for lunch?” is a question I’ve asked Ko on many occasions, and he has never done me wrong. Tri-tip burgers in Long Beach, Pink’s Hotdogs, and the best chili fries in L.A. are only a few things that we have enjoyed on an afternoon. This guy knows good food, but I was still more than a bit confused when he recommended a Chinese place for Mexican food. We walked into the restaurant at about 2pm, and there was no one to show us to a seat. 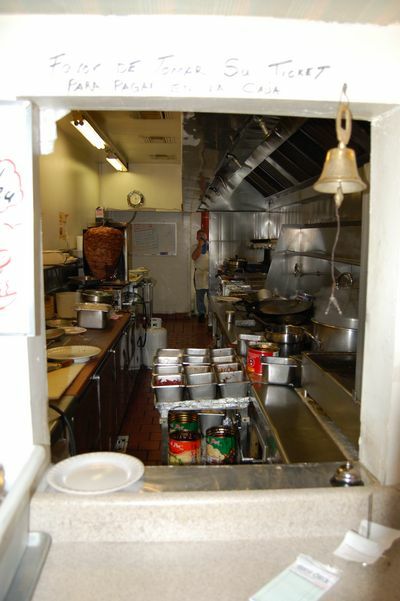 Instead, we walked up to a window next to the kitchen, wrote down our order on an order pad. We summoned the cook, and he shaved a seemingly insignificant portion of meat off of the stack, serving us 3 tacos apiece. This beautiful ball of sizzling pork reminded me of all of the great chunks of roasting meat I’ve sampled, notable those of the kebab places in Pike’s Place Market in Seattle, of tacos in Mexico, and of Churrasco in Kobe. 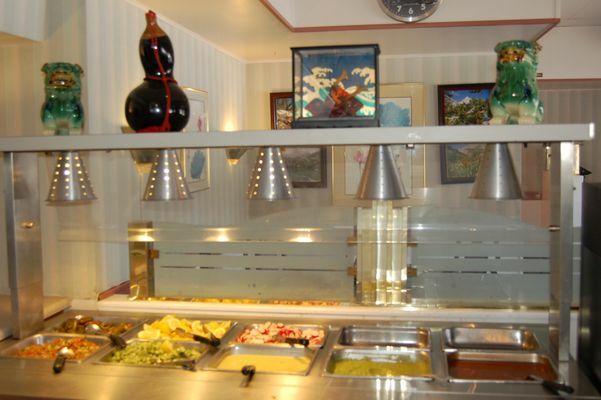 The salsas and condiments were top rate as well. 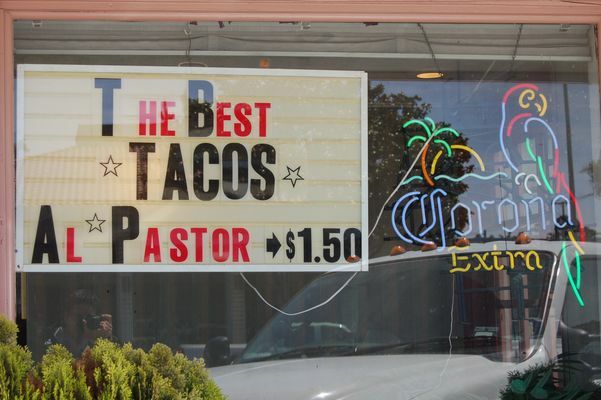 Notably, they served their tacos with a side of canned pineapple that perfectly complemented the tacos. Pico de gallo, cilantro and onions, jalapenos, sliced radishes, guacamole, and other toppings rested underneath two Shisars, a lacquered hyotan, and a samurai helmet display. Could this place be any more awesome? 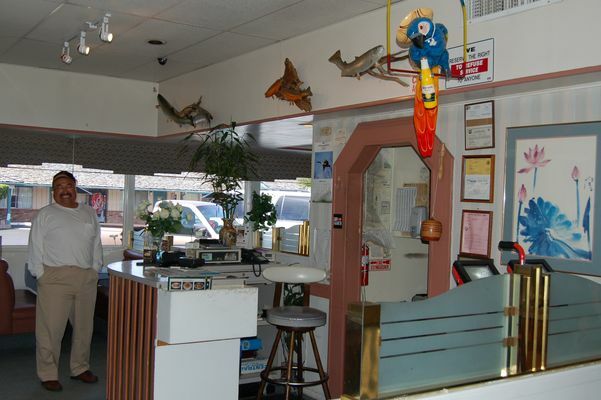 The owner clearly liked fishing and hiking in the mountains, as he decorated the restaurant with mounted fish and family pictures in the Sierras. I have no idea about the history of this restaurant, but I intend to return and find out. It will give me a good reason to go back and enjoy some of the best tacos I have ever tasted! 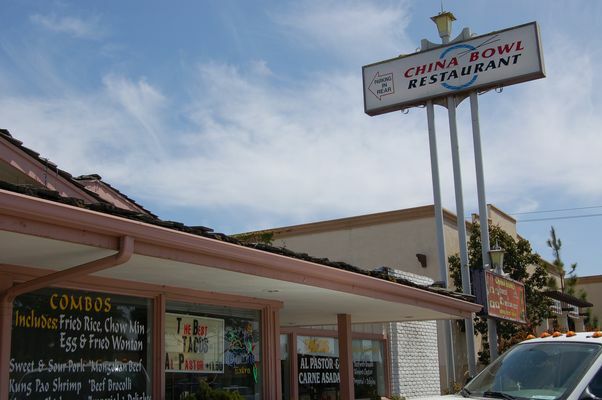 On the China Bowl website there is no mention of tacos, but take my word for it: it is well worth your time to stop by this place if you find yourself passing through Santa Maria. Long live Chinese tacos! 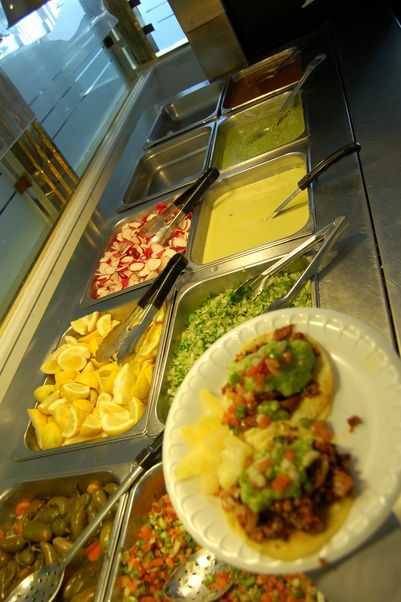 Posted on May 4, 2007 Author AdamCategories Food, Northern California3 Comments on China Bowl: The Best Al Pastor?